Live the lifestyle youâve been dreaming of! 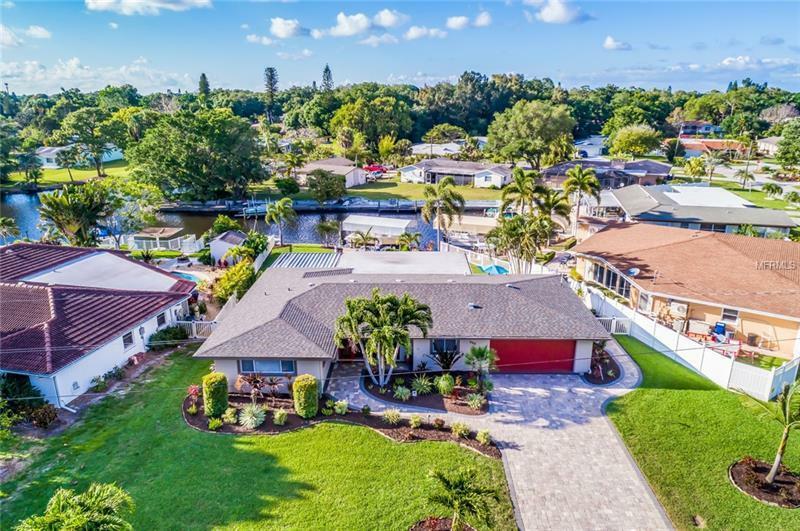 Perfectly situated right on the canal this fabulous home offers beautiful living spaces and easy boating access to Sarasota Bay. Even better this home sits right across from Sara Bay Country Club which boasts a Donald Ross designed 18-hole golf course. Inside the home luxurious features include detailed wood ceilings beautiful built-in shelving hardwood marble and tile floors and quality fixtures throughout. Dine relax and entertain in style. Every chefâs dream the updated kitchen boasts sparkling granite countertops premium stainless-steel appliances gorgeous cabinets and ambient lighting. Enjoy lots of space for additional storage as well as a half bathroom in the garage. Newly added gorgeous lush landscaping with lovely LED lighting adds further beauty to the homeâs exterior. a Over $30K in pavers- driveway & the walkway that leads down to the 12000 LB boat lift .Recently dredged the canal provides easy access to the intracoastal and just a short trip to Longboat Key luxurious living is at your fingertips. Nearby US 41 makes this ideal for the commuter to downtown Sarasota. Plenty of shopping & dining options nearby & minutes away from the Sarasota Airport.